From the office to the dancefloor, ponytails cover it all and they most certainly make for a quick and easy style to have you Christmas party ready in no time. Add a French plait to a high, bouncy pony for a fun twist and you are good to go. A velvet ribbon worn in a half-up, half-down style feels festive and feminine – give it a try! A French twisted wreath style is so on trend for the festive season and will give a simple and pretty look this festive occasion. Simply twist front sections of hair in a crown like style to the back of your head and tie with an elastic hair tie. Even the messiest bun can get a posh upgrade from a few sparkly bobby pins. Carry some sparkly hairpins in your bang for a last minute Christmas party style in a hurry. If you are feeling more adventurous why not try your hand at a crown braid! It is aa effortlessly elegant updo that will have you looking unbelievably stylish in no time. If you have a bit more time and a tool to hand, why not add some undone waves to your locks! If you would like some advice, on which tools we would recommend, don’t hesitate to give us a call! One of our stylists will always be on hand to help! Exaggerate the part of your hair to one side and add some thick curls to create a classic holiday hairstyle. Achieve an old Hollywood look in just 10 minutes by giving yourself some curls, setting a front wave with S-shaped pins, and then finishing it off with hairspray. 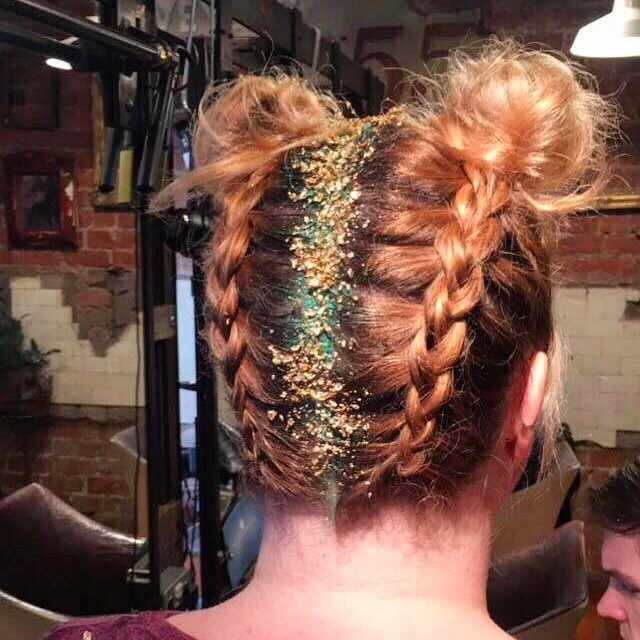 We hope this has provided you with some inspiration for your Christmas party hairstyles! Are you needing an Event hairdresser‌? If you are still stumped or feel as though you may need a helping hand why not contact us today to book in for a festive styling session! ‌ We would love to hear from you!